In coral class today we looked at Poppies and found they were all “red”. 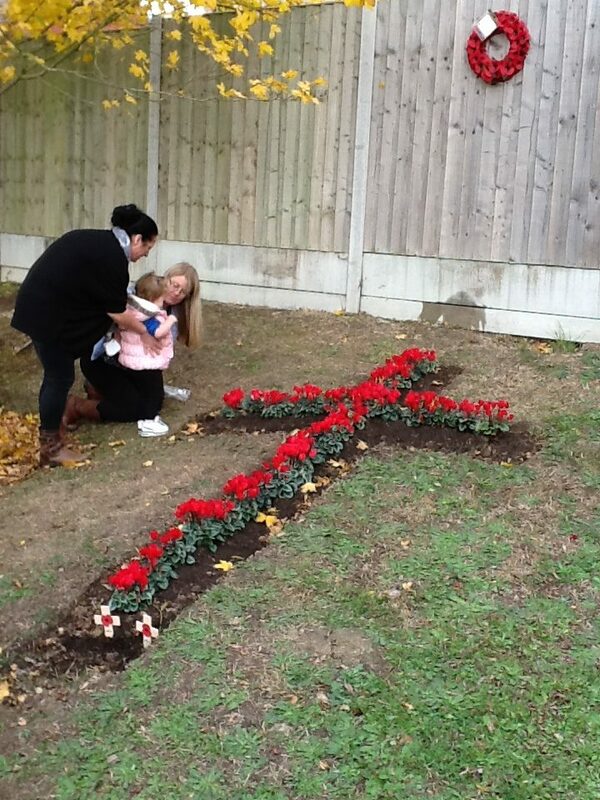 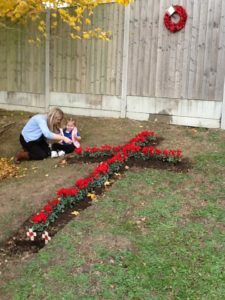 We looked at how to plant bulbs to make a special red cross in school with all our older school friends. 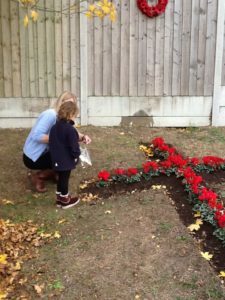 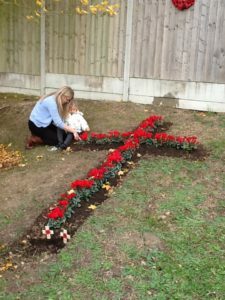 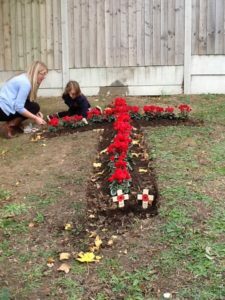 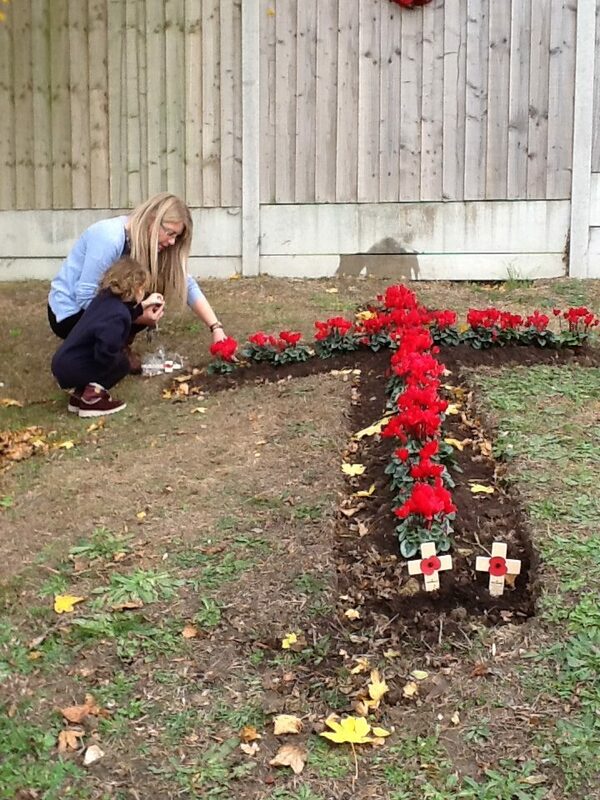 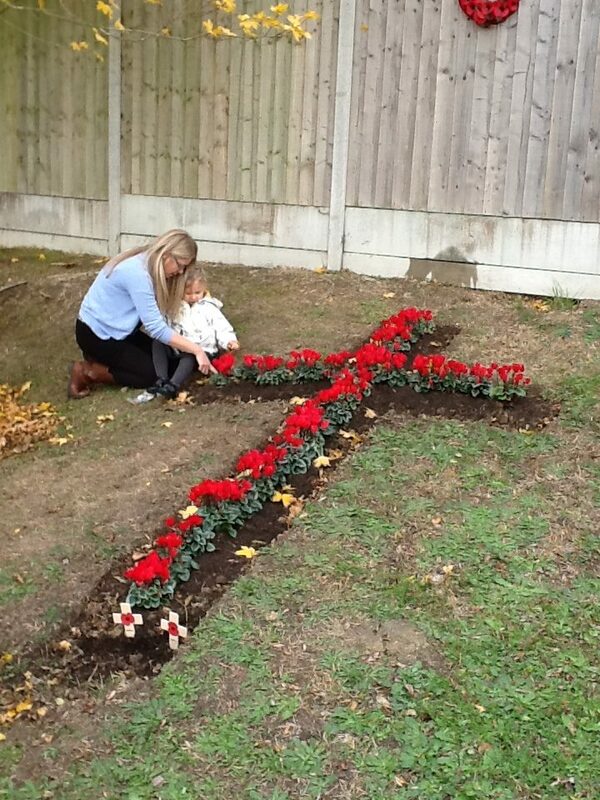 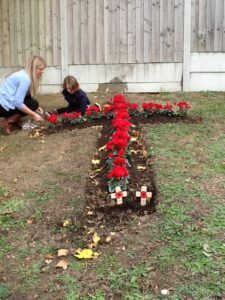 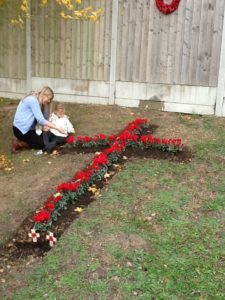 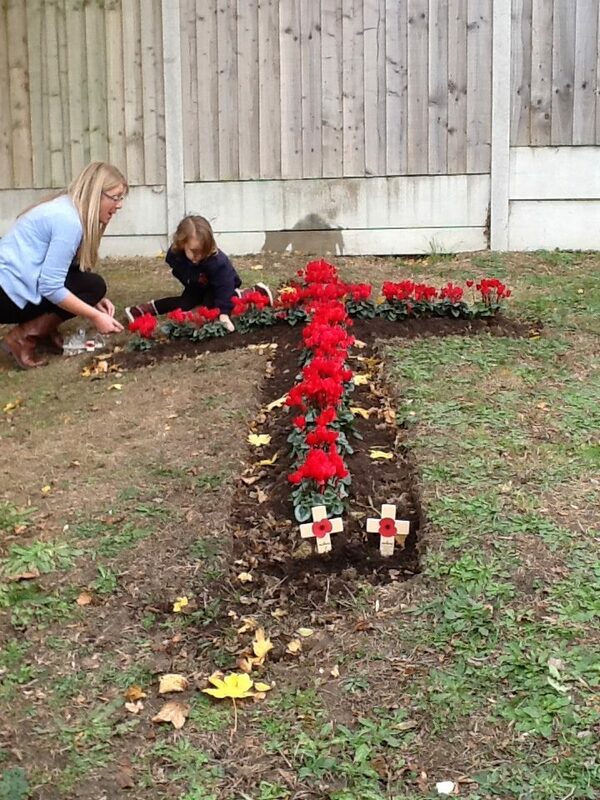 We sat near the cross, poked holes with our fingers, popped in a bulb and sprinkled the soil over the top. We will watch for our bulbs to sprout and grow. 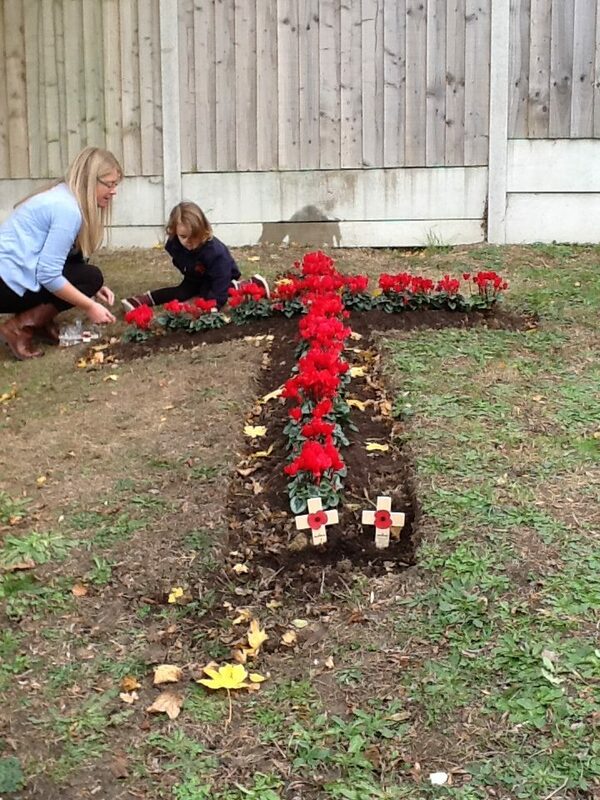 What a lovely remembrance for Poppy Day.